RNA / REU and RWW (or Rxx collectively) are systems that bring together information on over 6500 NDBs, DGPS and Navtex stations and Ham Radio Beacons, cross-referenced against logs taken at over 250 locations by contributing listeners throughout the world. Most of the information in these systems is collected from postings on the NDB List by editors Pat and Vincent in Europe and by myself for listeners elsewhere - 5 on the diagram. Rxx also allows any listeners entire log to be exported as a set of NDB WebLog files that can also be fed into WWSU to show what stations have been heard and when - 1 on the diagram. NDB WebLog is a completely separate system designed for individual listeners to make their own logs and obtain statistics on NDBs, DGPS and now Navtex Stations they have received. Log listings can be exported in a multitude of formats and then emailed to the NDB List - 4 on the diagram. WWSU by Alex Wiecek is a complete database of many thousands of NDBs that runs directly on your PC. The full version of 6.1 (available for $15) can be used to generate and maintain logs of signals received - 3 on the diagram. WWSU also features import and export mechanisms that allow it to import NDB WebLog data either from your own NDB WebLog or from NDB WebLog files generated automatically by RNA /REU or RWW - 2 on the diagram. Many people now use Rxx to export their initial log to WWSU, then use WWSU to add new loggings and export the data to NDB WebLog to generate customised text listings that they email to the NDB List where Pat, Vincent and myself then take that data and upload it to Rxx - whew! All of this AND tune a radio??? Martin Francis (that's me) is the designer and programmer of Rxx (with inspiration and initial data by Andy Robins) and of NDB WebLog. With that clarification out of the way, please read on! Please read the important notice for Windows NDB WebLog Users. 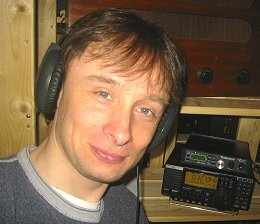 Many NDB radio enthusiasts publish their reception logs on the web. This is often very useful data to have as it enables other listeners located nearby to get a good idea of what beacons are around and are likely to be receivable in the neighbourhood. However, every DXer seems to have his or her own way of presenting the information. In a bid to provide a standard way of viewing this kind of data, I produced the NDB Weblog. Better suport for Navtex Stations in statistics; Support for WWSU 6.2's duplicate ID/frequency mechanism; Mechanism to fetch aditional details for a station from RWW system when online. See the Changelog for details and a complete version history. NDB WebLog is, and always will be ABSOLUTELY FREE, and NDB List approved for producing CLE listings - so get yours today! For your web site or home PC - Windows, Mac, Unix and Linux systems all fully supported (with IE, Netscape or Mozilla Browsers). The NDB Weblog - download it for your site today! MONTHLY BEACON REPORT - number of beacons by day (10-14 hrs local time), by night, and by both each month + year. NEW BEACONS REPORT - number of new beacons received each month + year. DAYTIME DISTANCES REPORT - number of beacons at 200KM or 100Mile increments each month + year. NIGHTTIME DISTANCES REPORT - number of beacons at 200KM or 100Mile increments for each month + year. DX PER WATT REPORT - showing maximum DX/W for each month + year. COUNTRIES REPORT - number of beacons received in each country for each month + year. Also shows name, frequency and DX of furthest station received in each country for the year. REGIONS REPORT - number of beacons received in each region (e.g. N.America, Carribbean etc) for each month + year. NORTH OF 60 REPORT - number of beacons received whose latitudes are Noth of 60 degrees, for each month + year. NDB WebLog uses popup windows to display progress meters, beacon reports and various other controls. 657 NDBs, 66 DGPS, 12 Nazvtex and 6 UNIDs... and counting! Click here to see a picture of all my maps and DXing awards - still space for a few more!